This week, as part of Coode Street’s experimental trio of shorter episodes, Clarkesworld publisher Neil Clarke joins Jonathan and Gary to discuss the state of short fiction in 2018. How is the field doing artistically? How is to doing in publishing terms? Should we be optimistic or pessimistic? We take half an hour to talk about all this, trends in the field and more. 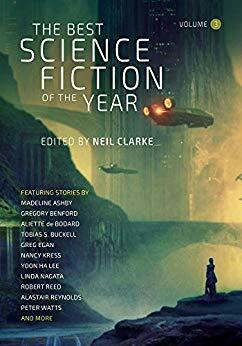 The fourth volume of Neil’s The Best Science Fiction and Fantasy of Year will be out in July. As always, our thanks to Neil for taking the time to talk to us. We hope you enjoy the episode and the shorter format.